Workgroup Multifunctional with Optional Network/Print and Optional Fax/Network Fax System. Standard 2 x 500 Sheet Paper Drawers plus 200 Sheet Multipurpose Tray. Standard Duplex. Optional Print/Scan System and Network Fax. 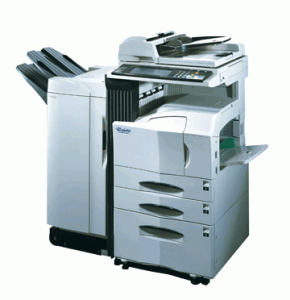 Optional Document Processor, paper Handling and Finishing. Optional HDD for Document Management.